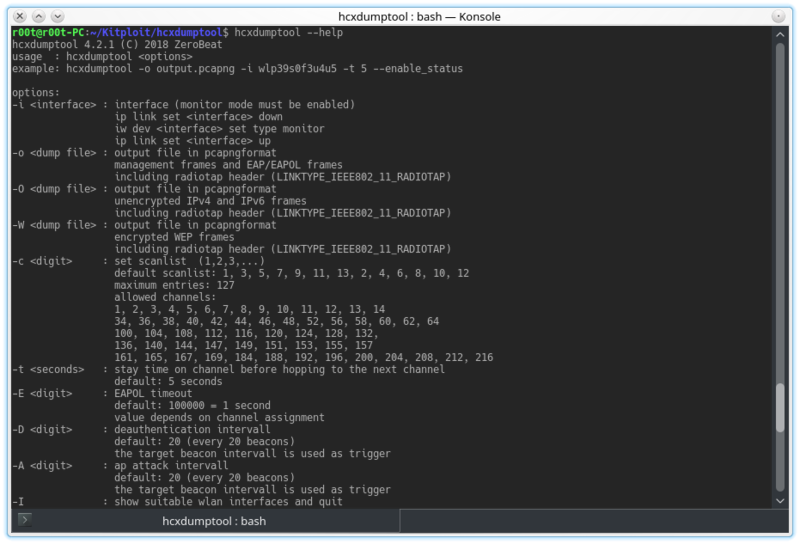 Small tool to capture packets from wlan devices. After capturing, upload the "uncleaned" cap here (https://wpa-sec.stanev.org/?submit) to see if your ap or the client is vulnerable by using common wordlists. Convert the cap to hccapx and/or to WPA-PMKID-PBKDF2 hashline (16800) with hcxpcaptool (hcxtools) and check if wlan-key or plainmasterkey was transmitted unencrypted. Stand-alone binary - designed to run on Raspberry Pi's with installed Arch Linux. It should work on other Linux systems (notebooks, desktops) and distributions, too.